I don’t know if anyone had noticed, but I love cables. Love, love, love cables. I may not love following intricate patterns and getting lost among the twist 3 back purl 1 fronts of patterns and losing my place but I love the look and texture of patterns. I was looking for a knit stocking pattern because a list of Christmas gift ideas is not complete without at least one stocking and found this. It is so simple and yet elegant. The pattern is a bit more difficult than the previous ones I’ve picked but it looks to be well worth the time and effort. I’m going to try an idea. On TV, they are having the twenty-five days of Christmas and are playing special movies in celebration. I am going to try to post a Christmas gift idea every day until Christmas day. These will be free patterns available on the internet that can be made for yourself or for someone else. Some will be things that I’ve already made, but most will not be. 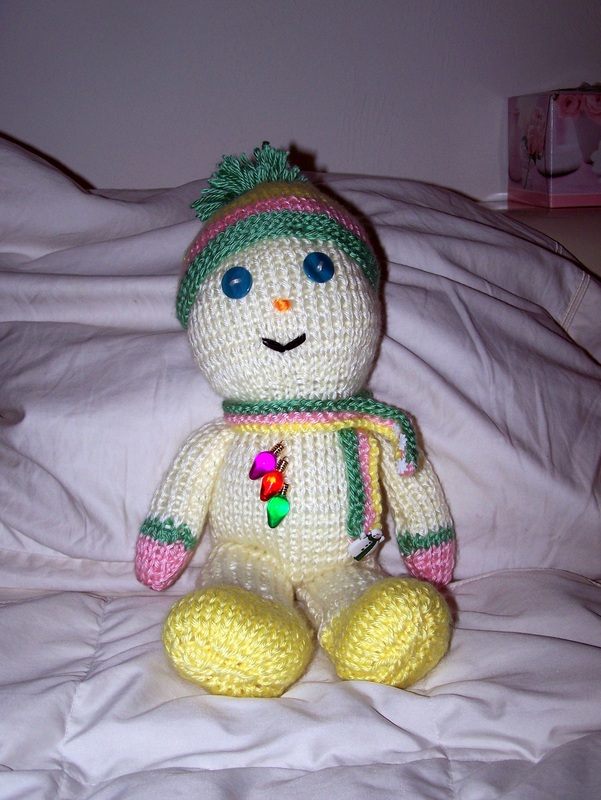 I have to begin with the Toy Box Snowman by Jean Greenhowe. It’s a quick knit stuffed animal that has gotten a lot of praise at work. There are plenty of variations that can be made using the base pattern. I made this with Caron Simply Soft but any worsted weight yarn will do.